Mr. Henshaw credits part of his success to his young and somewhat naive take on the business world. 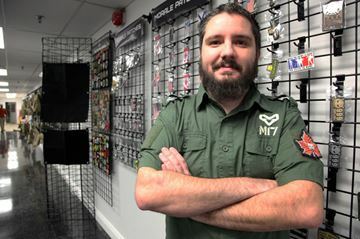 When he’d bought those first morale patches to sell, he says he wasn’t worried about navigating the red tape that comes along with starting a business. And he wasn’t worried about what would happen if he failed. With each small success, he says he just looked for an opportunity to keep growing.